Viruses are notoriously some of the hardest foodborne pathogens to clear during your production process, and they represent a significant food safety hazard. Treating food for viruses usually involves either difficult to control prevention, such as worker hygiene, or quite tricky steps that can compromise food quality, such as chemical baths. However, there could be a new weapon in the fight against viruses, as well as other foodborne pathogens, in the form of “cold plasma,” Food Safety News reports. Characterised as a kind of “purple blowtorch” by food safety scientists, when applied properly the treatment has been shown to kill 99.9% of Norovirus on blueberries, without compromising the frail fruit’s quality in the slightest. A team of scientists, led by Alison Lacome, and including food safety expert Brendan Niemira, a microbiologist at the U.S. Department of Agriculture’s Eastern Regional Research Center in Wyndmoor, PA, had already demonstrated that cold plasma (CP) has the ability to kill pathogens such as Salmonella and E. Coli on blueberries. This adds norovirus to the list of nasties checked off, which is good news as in can be notoriously hard to get rid of, often resistant to most chemical agents weaker than bleach. The researchers chose the fruit because of its increasing popularity in recent years, which seems to have exploded considerably since it was granted “superfood” status. They also noted that blueberries are quite vulnerable to biological hazards and are often consumed raw, making their lack of contamination particularly important. This is compounded by the fact that their shelf life is comparatively short, meaning that they must be rushed through processing stages. 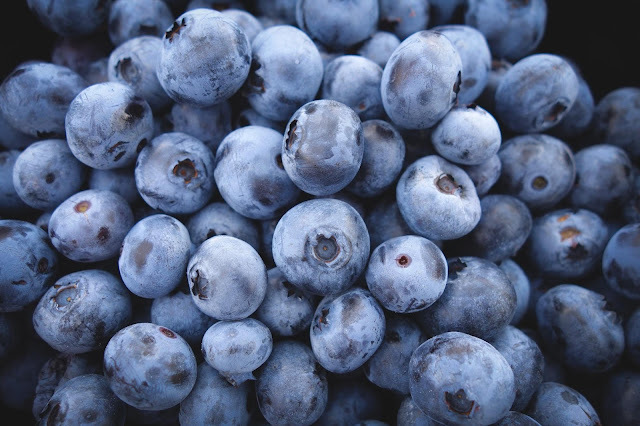 When the researchers tested the cold plasma purification procedure on the blueberries, more than 99.9% of the two viruses that they were testing for had been neutralised after two minutes or less, showing the extreme potential of the technology. So how does it work? Well, plasma is seen as the fourth state of matter after solids, liquids, and gases, and it is created by breaking apart gas molecules to form a beam of charged electrons and ions. This beam then destroys viruses as the highly noxious ions, named reactive nitrogen and oxygen species, break the pathogens down, showing extraordinary antimicrobial potential. One potential problem is that the process can generate some heat, damaging the berries, but the research team found that simply injecting room temperature air into the purification chamber caused all heat problems to dissipate. 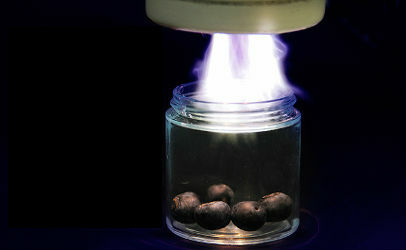 The potential for the new technology is massive, especially if, as the researchers claim, the purple blow torches only use 20% of the power of a hairdryer, and can be scaled up to fit process requirements. More research is required before it can be implemented on a wider scale, but the applications are huge, such as handheld plasma purification devices, or built in plasma cleaners in the industrial process. Now is that not even more of a superfood... a fruit that has had all the viruses blasted off it using a purple laser!? The space age is upon us.